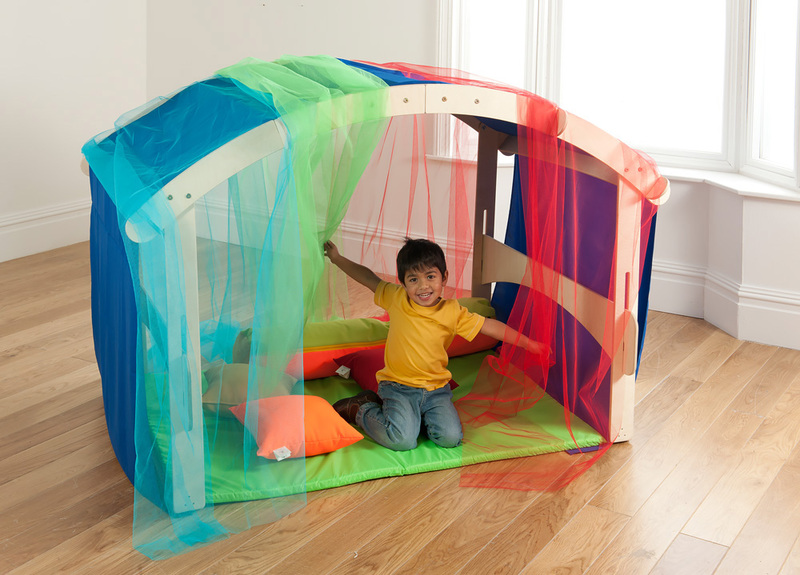 The rainbow kit is an accessory kit for the indoor outdoor folding den. Featuring a splash proof and easy clean lime green mat, 3 net drapes coloured in bright red, blue and lime and also 3 cushions in red, orange and yellow. The indoor or outdoor folding den with a rainbow accessory is an ideal addition to any school or nursery early learning environment as it provides a comfy and cosy area for children to either play, relax or read in groups. Please note: The den and blue roof are not included with the rainbow den accessory kit. Please Contact Us or alternatively call for more details on 01733 511121.